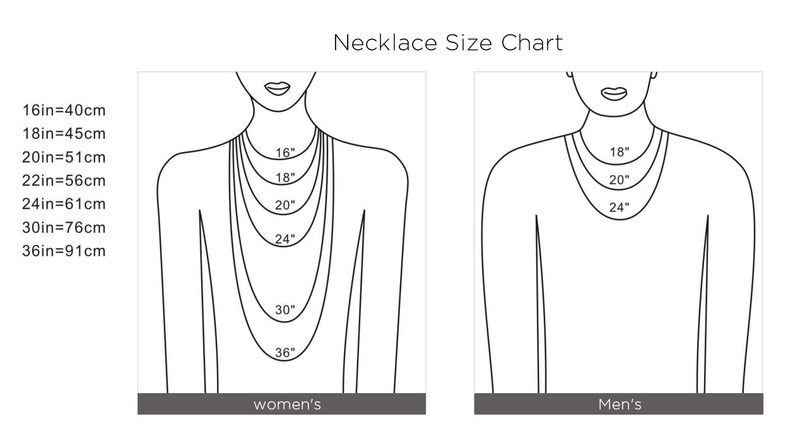 Chain Length: about 41+8cm / 16.14" + 3.14"
1.According to the description product, you can roughly get feeling of wearing the necklace refer to all the size pictureed on the right. 2.The place we show in the picture is just for reference only. Difference height and weight shows difference effect.